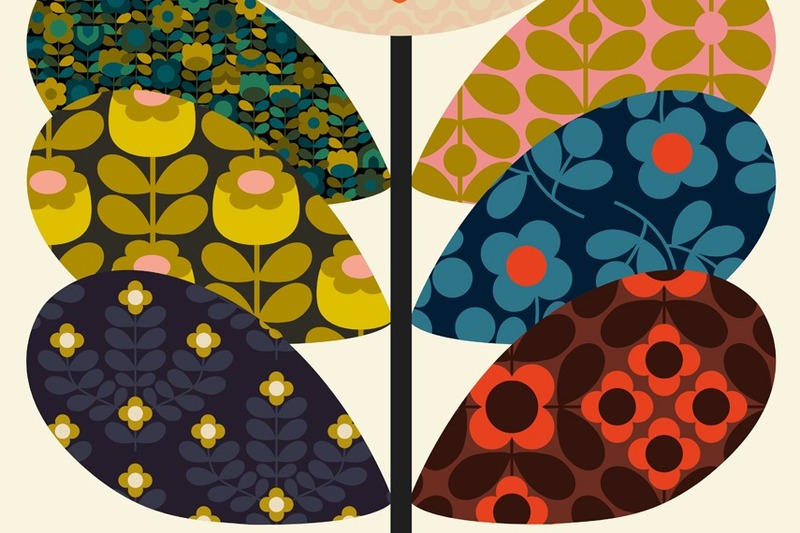 Dovecot Studios‘ Orla Kiely A Life in Pattern exhibition tickets are are now available to purchase. Opening on Thursday 7 Feb, this exhibition explores why the rhythms and repeats of her designs have such wide and enduring appeal. Popular designer Orla Kiely is celebrated for her plant based patterns that pack a powerful graphic punch on everyday life. Her flat graphic style and choice of colour palette have chimed with recent nostalgia for vintage style and interiors, this exhibition explores why the rhythms and repeats of her designs have such wide and enduring appeal. With unique access to the company archives, the exhibition offers a privileged insight into the designer’s world. Re-visiting the work of other twentieth century luminaries in pattern design, this exhibition explores the story of pattern and how some designs can come to epitomise the style of their time. Situated in the heart of Edinburgh, Dovecot Studios is a vibrant and contemporary arts hub housed in recently refurbished grand Victorian Baths. The venue combines an internationally renowned working tapestry studio, state of the art exhibition galleries, and imaginative event and meeting spaces. Orla In Conversation and Exhibition Preview with Orla Kiely on Wednesday 6 Feb give visitors exclusive access to the exhibition before it opens to the public.